Slideshare is an incredibly popular website with a very wide range of users. It’s used by B2B and B2C companies to get the word out and to widen their content marketing net. You can do the same thing, and chances are good that you can repurpose existing content to make things faster and more affordable on you, as well. There are many benefits to repurposing old content into something new. It saves you the time required to create fresh, new content, for one thing. It also saves you money, which is very important here. However, it can also give you a way to provide information to a different audience that might not have had access to it before. They way PowerPoint and Slideshare match up is a very good thing for any business owner, marketer or decision maker interested in content marketing. 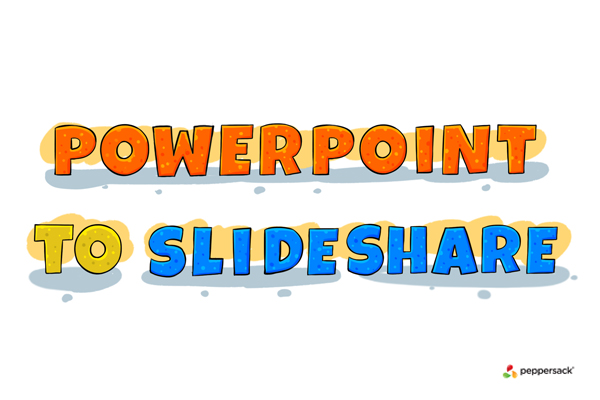 With the right presentation, it’s almost possible to copy and paste from PowerPoint into Slideshare. However, there are a few reasons that you might not want to do that. Freshen It Up: If your PowerPoint presentation contains dated information, it might pay off to ensure that it’s updated. For example, maybe you did a presentation last year on the growth of your industry. Obviously, those numbers would be out of date by this point. Take a little time to freshen things up a bit with current figures or other dated information. Duplicate Content: It’s vital that you don’t create duplicate content. If the information in your presentation has been published online previously, it needs to be rewritten so that it’s fresh. This applies even if you previously used it for something as simple as a blog post. Never create duplicate content – Google will definitely penalize you for it. Tailoring: Chances are good that your presentation was created for a specific audience, and while the general information will be suited for other readers, there might be elements that aren’t pertinent. Remove them. Revise your content so that it’s a better match for a new, broader audience. Don’t Neglect the Link: At the end of the Slideshare presentation, make sure to include a brief call to action or description of your company, as well as a link to your website, or another online destination where you want to send traffic. It doesn’t need to be sales-heavy, but it does need to be present. Use Slideshare SEO Tools: When you upload your content to Slideshare, you’ll have three important SEO tools at your disposal. You can retitle the presentation – make sure to include keywords and make it catchy. You also have the ability to create an optimized description for the presentation, and you can tag it. Use these tools to your advantage. By repurposing presentations and similar content for another use, you breathe new life into old content, save time and money, and build your brand with less effort.